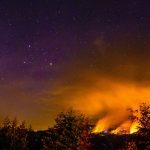 SONOMA, Calif.–(BUSINESS WIRE)–Today, the Wildfire Recovery Attorneys, including the Dixon Diab & Chambers LLP law firm, announced that a petition was filed to coordinate all cases arising out of the devastating Northern California fires against Pacific Gas & Electric Company. The filing was made yesterday. By using a JCCP to hear the cases, one judge would oversee all pre-trial proceedings, eliminating duplication of efforts in the discovery process, wasting judicial resources and reducing the likelihood of inconsistent rulings on individual cases. To date, seven cases, including more than 50 plaintiffs, have been filed against PG&E Corporation and Pacific Gas & Electric Company for their role in causing what is being termed the Wine Country Fires. The Wine Country Fires began on October 8th, causing extensive damages in Sonoma, Napa, Mendocino, Lake, Solano and Butte Counties. The fires burned more than 220,000 acres, destroyed more than 8,400 structures and claimed the lives of more than 40 people. Wildfire Recovery Attorneys have successfully leveraged JCCP proceedings to expedite justice for victims of wildfires and other corporate disasters. For example, following the Butte Fire in 2015, the firms led the charge to coordinate more than 2,000 cases into a JCCP, resulting in the successful settlement of hundreds of claims. Additionally, lead attorneys with Wildfire Recovery Attorneys used a similar process when representing victims of the BP Oil Spill, resulting in more than $1 billion in settlements for victims. Wildfire Recovery Attorneys, comprised of Dixon Diab & Chambers LLP and other law firms have hired investigators, experts and adjusters to expedite the recovery process for victims. To inquire by phone, call 619-354-2662. Other information can be found online at fireattorneys.com.